The Joint Committee on Fair Practices and State Personnel Oversight is seeking more information about state employees at Grade 19 or higher who were vetted by the Governor’s Appointments Office before being hired. A Maryland General Assembly committee is digging into concerns about whether politics are playing a role in state hiring. Cindy Kollner, executive director of the Office of Personnel Services and Benefits, provided the committee with one basic detail at a sparsely attended meeting on Tuesday in Annapolis: Between July 1, 2017 and Sept. 27, 2018, 346 of the 771 people hired by state agencies at Grade 19 or higher had been vetted first by the Governor’s Appointments Office. Lawmakers are concerned that the office is considering the political leanings of state applicants or other information that should not be relevant to their qualifications for employment. The search for information stems partly from a bill introduced last legislative session by Del. Clarence K. Lam (D-Howard and Baltimore counties). The bill, as originally introduced, would have charged the Maryland State Ethics Commission with investigating potential violations of state personnel laws, including those prohibiting discrimination and the appointments office’s involvement in certain personnel decisions. During session and on Tuesday, lawmakers have said the appointments office’s involvement in hiring at-will employees who are not political appointees was reminiscent of the era of former Gov. Robert L. Ehrlich Jr. (R), when lawmakers launched an investigation which concluded that dozens of state employees had been fired solely for their political beliefs — at a time when current Gov. Lawrence J. Hogan Jr. (R) was appointments secretary. The memo said that the department would proceed as normal for hiring technical positions such as laboratory scientists or doctors, but the appointments office would have “first crack” at filling positions such as legislative liaisons, communications officers and executive associates. For positions including program managers, the department would run a parallel process with the governor’s appointments office. “For all three categories, [the appointments office] will need to vet the candidates we select,” the memo said. DeLeaver-Churchill said the office’s primary function is to help ensure that state employees don’t have disqualifying criminal histories or conflicts of interest. Jones said Tuesday that the committee wants additional information, including the names of employees who were appointed after vetting by the appointments office to ensure that those hired met all qualifications. “Some of the folks that were selected raised concerns,” Jones said. 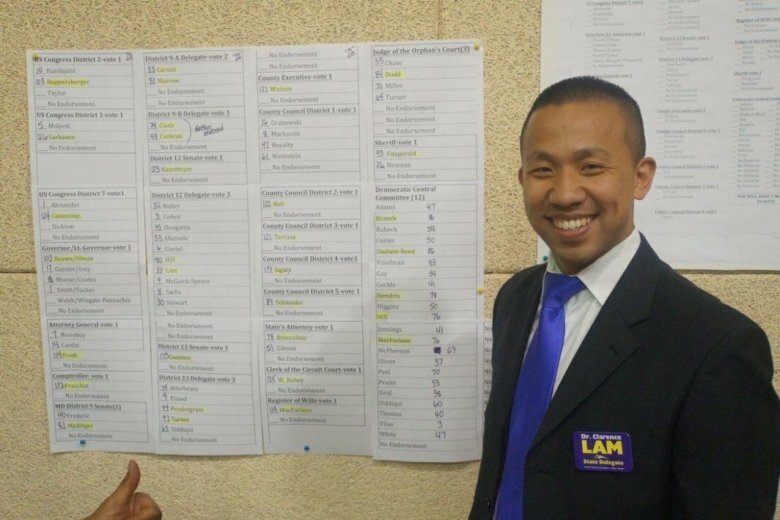 An amended version of Lam’s bill — requiring a more robust annual report on political appointees each year — passed the House of Delegates late in the General Assembly session on a party-line vote. The legislation landed in the Senate Rules Committee, where it remained until the end of session. Jones also asked during Tuesday’s meeting about a vacancy on the Maryland State Labor Relations Board. Jones said Lafe Solomon, former general counsel to the National Labor Relations Board, had been recommended by AFSCME Maryland Council 3, a state employee union, for a position to represent labor on the board in 2017, but the governor’s office had failed to make a nomination for the vacancy. Kollner couldn’t provide details about Solomon’s nomination — it’s not an issue that falls under her office’s purview — but told the committee that AFSCME had “walked away” from negotiations with the state on wages for the 2020 fiscal year. In an interview later in the afternoon, AFSCME Council President Patrick Moran said the union had not walked away, but had filed official complaints that the state was failing to meet legally required deadlines and was attempting to limit the union’s communications with members. Moran also said that the state would be hard-pressed to find a better candidate for the Maryland State Labor Relations Board than Solomon. “It is our position that the administration does not want a quality person in that position because it will basically be a productive labor relations board if he is put on,” Moran said. Asked in an email about a delay in Solomon’s consideration, the governor’s office could not provide specifics. “We are looking into the status of this appointment,” DeLeaver-Churchill wrote.